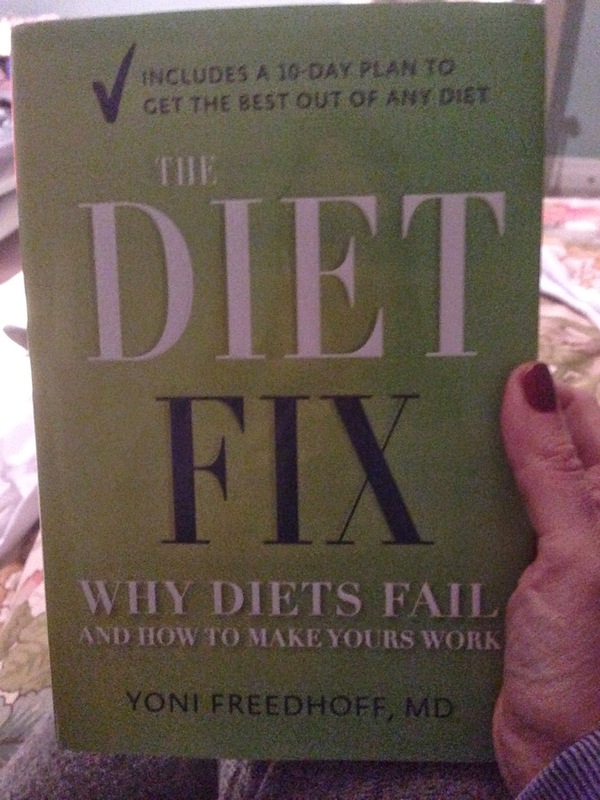 ...at least according to Dr. Yoni Freedhoof and his book, The Diet Fix. I sorta wish I would've thought before I cooked because the perhaps I wouldn't have pretended that Wednesday never happened. You see, Wednesday was the day I went to the Recipe to Riches Finale party and I knew that I would be willingly indulging in forced to eat generous portions of cheese cake bites, deep-fried mac n cheese, meat pie, and other delicious treats. Or more precisely, everything I shouldn't be eating on the day I was to start eating only homemade food. Food that would be a nightmare to diarize. Besides my Mommy-blogger food bonanza, I also had to wake up and vacate my house earlier than normal in order to get my son to his 7am badminton practice. So while my house is well-stocked, in no way was I mentally prepared to pack myself enough food to get me through breakfast, lunch, and the two snacks that were required to get me through the day. I had a meeting with my conscience and this is was the deal we came up with: I could start Day Four one day later as long as I still kept up days 2 & 3. I kept up my end of the bargain and found out that the horrific calorie count I was expecting to see when I totaled it up wasn't as bad as I thought. And I can attribute that directly to the fact that I didn't let myself get too hungry and thus, didn't stuff my head as much as I normally would have. ...some days are going to be high. Sometimes those days will come with good reason (birthdays, vacations, holidays, etc.)... that even on those days when you might have hunger and might crave higher calories or more indulgent choices, or when indulgent choices are more appropriate to the day, you can still do your best. It's just that the options from which your choosing on a hungry or celebratory day may not be as healthful as the options you'd have considered if you weren't hungry or celebrating. The reason I wish I'd known this before Wednesday is because this is exactly how I ate on Wednesday. I did have to buy my breakfast instead of making it, but I did ask for no cheese or meat on my Egg McMuffin. And I did indulge in the foods that were highlighted at the finale party but I didn't eat the "other" stuff, like the cheese platter (which I normally dive head-first into) or even a glass of wine. I didn't really see a need or have a real want for them. I do want to be tired enough to easily fall asleep each night. I don't want it to feel good to take my skinny jeans off at the end of the day. I do want to feel healthy and stop using my colitis and asthma medicine so much. I do want to run as fast as I was running three years ago. I do want to be able to control my hunger and cravings so I don't eating pointlessly, like chocolate bars from the Dollar Store. I want to feel happy, and proud of my choices when it comes to what I eat, how I look and, most importantly, how I feel about myself. And according to Dr. Freedhoff, I'm half way there. So far so good.